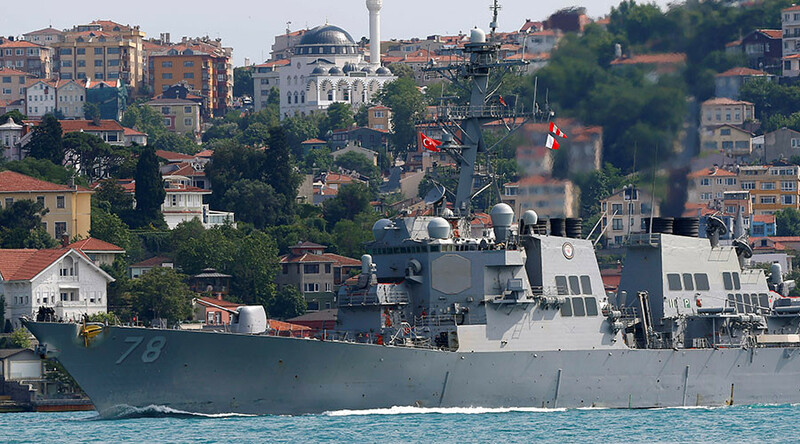 The US guided missile destroyer, the USS Porter, has entered the Black Sea citing “maritime security,” and to participate in multinational Sea Shield drills, the US navy has announced. The vessel “entered the Black Sea, Feb. 2, 2017, in order to conduct maritime security operations and enhance capability and interoperability with allies and partners in the region,” a statement on the website of the US Sixths fleet reads. The 6th fleet, which the USS Porter is assigned to, is the US Navy’s command for Europe and Africa headquartered in Naples, Italy. While in the Black Sea, the ship is set to take part in the annual international drills, code-named Sea Shield and led by Romania. This year’s war games involves nearly 3,000 military personnel from Romania, Bulgaria, Greece, the US, Canada, Spain and Ukraine. During the large-scale drills, the multinational force will polish its joint naval tactics as well as information sharing. “Porter has routinely operated in the Black Sea over the past few years, demonstrating our continued commitment to security and stability in the region," the vessel’s captain, commander Andria Slough, said. This is the Porter’s second visit to the Black Sea. 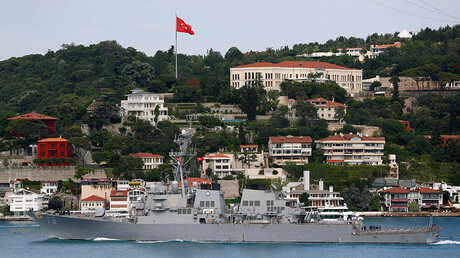 The ship sailed into the area in June last year, stating similar goals: countering the alleged “Russian threat.” As the US does not border the Black Sea, it can’t keep ships in the region for more than 21 days at a time under the terms of the 1936 Montreux Convention regulating the transit of warships through the twin straits controlled by Turkey. The Russian Defense Minister Sergey Shoigu said Moscow is prepared for any eventuality. “We hope that the drills will be conducted in the safest possible environment without challenges towards the Russian Federation. In any case, we are ready for such challenges,” Shoigu stressed. The US navy has been sending its warships on a rotational basis to the Black Sea since 2014, following the anti-government uprising in Ukraine and subsequent ousting of President Victor Yanukovich, which caused a conflict in the east of the country.